Lately I've been obsessed with affordable home theater products. I don't care what the make or model; I believe we're going through a renascence, brought on by an ailing economy, that is resulting in some fine and affordable products hitting the marketplace. Case in point: Sanyo's latest crop of HDTVs, specifically the 55-inch DP55441 reviewed here. • Read more LCD HDTV reviews from Home Theater Review's staff. • Look for a Blu-ray player in our Blu-ray Player Review section. Sanyo doesn't give the retail price for the DP55441 on their website but many retail chains such as Wal-Mart sell it regularly for $848.00. The DP55441is a 55-inch, 120Hz LCD HDTV with a native resolution of 1920 x 1080 pixels and a reported contrast ratio of 5,000:1. The DP55441 measures 52 inches wide by 36 and a half inches tall and four inches deep without its included stand and 15 inches deep with its table stand. The DP55441 weighs a hefty 69 pounds all in. In terms of style the DP55441 is pretty basic, featuring a chunky black bezel surround that does little to mask or disguise what it is and that is cheap plastic. Still, I can forgive the DP55441's lack of design flare if its performance is good, for it's a budget HDTV after all. In terms of connection options the DP55441 has a few: three HDMI inputs (two rear, one side), two component inputs, a PC input (15 pin) with mini audio input, a single USB input (photos only), a coaxial digital audio output, analog audio output and finally a single RF input to be used in conjunction with the DP55441's internal tuner. The DP55441 has two, 10-Watt internal speakers. 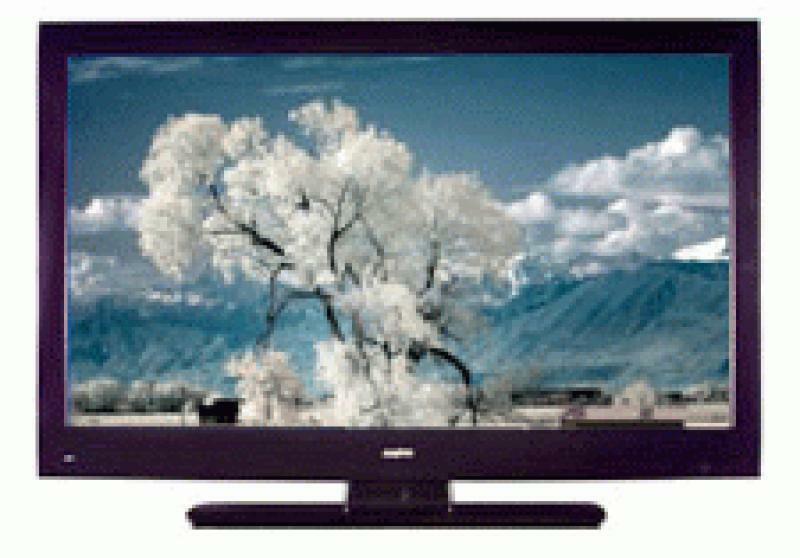 The DP55441 lacks Internet connectivity as well as 3D capabilities, which no doubt is a cost saving measure and just one of the reasons why you're able to purchase a 55-inch HDTV for well under a grand. As for performance the DP55441 isn't bad, in fact I was pleasantly surprised with its overall image after a bit of calibration help from Monster Cable's ISF Calibration disc. Despite having real world specs (when was the last time you saw an HDTV with less than a million to one contrast ratio? ), the DP55441's image was appropriately sharp with solid but not class leading black levels and colors that appeared natural after calibration. Calibrating the DP55441 isn't an exact science, for its level of control isn't as fine as some costlier sets but you can still achieve a well rounded image with little effort. Turning off the DP55441's back light sensor and 120Hz processing helped firm things up, not to mention smooth them out, for neither "features" were seamless or stealthy in their operation. Low light and black level detail was on par with most middle of the road HDTVs, texture was again better than average and noise levels were kept to a minimum though the better the source and source material the better the DP55441 performed. If you have a host of DVDs still in your home theater library, the DP55441 isn't the best when it comes to SD material but its far from the worst and by no means a deal breaker, though if you can feed it an HD broadcast or Blu-ray disc you'll be handsomely rewarded. 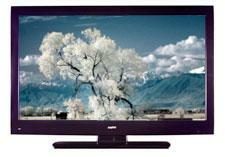 Read about the high points and low points of the Sanyo DP55441 LCD HDTV on Page 2.